Samsung has recently rolled out the Android Oreo update for Galaxy S8 and S8 Plus. Though the latest upgrade keeps the core Galaxy S8 experience the same, it brings a number of welcome performance tweaks and useful features to the table that make using an Android device even easier. 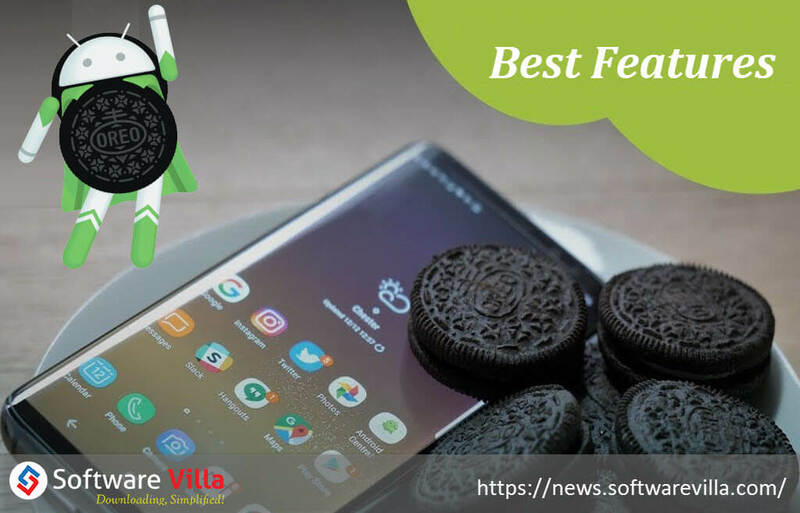 Hold your breath as we’re going to reveal 10 best new features in Galaxy S8 Oreo update, which will surely gild the lily of your beloved device. Let’s get started. 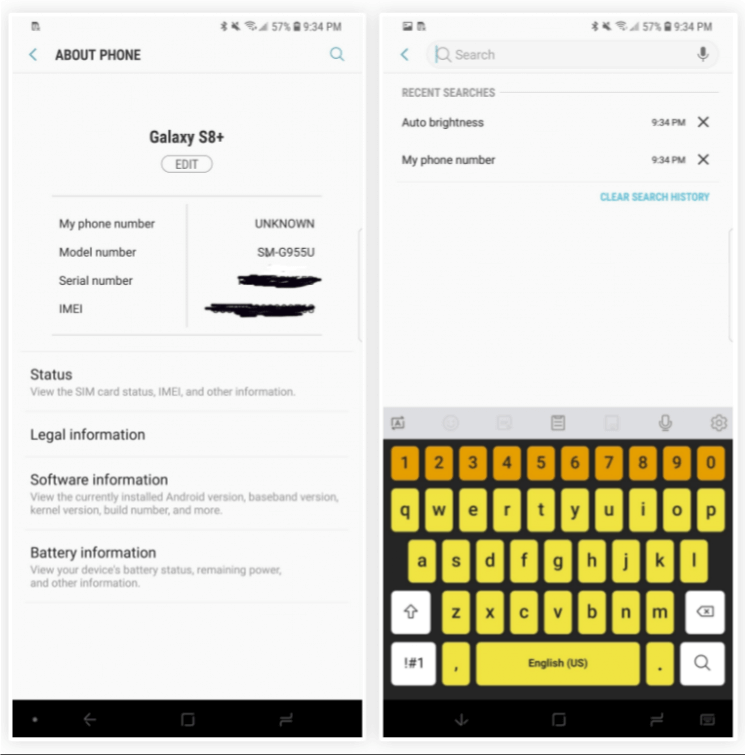 With the introduction of the new update, the Samsung keyboard gets a major overhaul. Taking about its usability, the keyboard has obtained 4 different high-contrast modes as well as resizing options. The high-contrast modes let you distinguish different parts of the keyboard effortlessly, while the resizing options make it easier to type with great ease and swipe-to-type becomes more accurate. 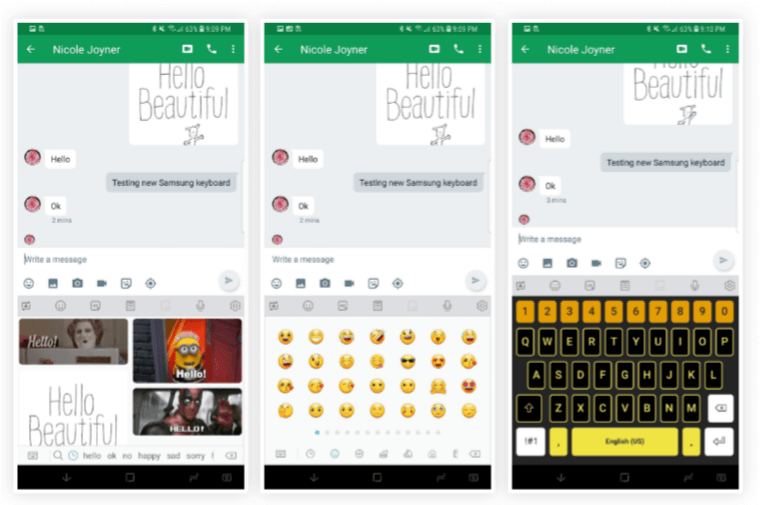 For messaging and social media buffs, the latest version offers native GIF support, Emoji 5.0, together with an easily accessible clipboard within the keyboard. With the official launch of Android Oreo, Google detailed a new way to take a granular course of your notifications. 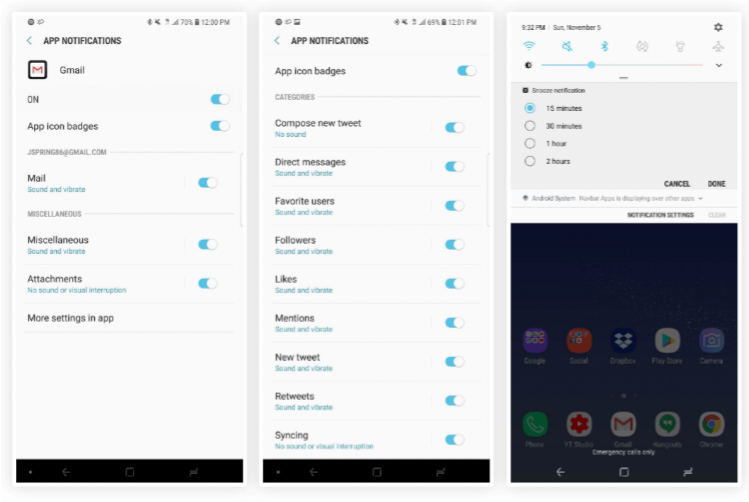 All social media and messaging apps frequently possess different types of notifications they push to you regularly, but now you can customize settings for each of them. For instance, Twitter provides you notifications for direct messages, new feed activity, mentions, quotes, likes, and more. 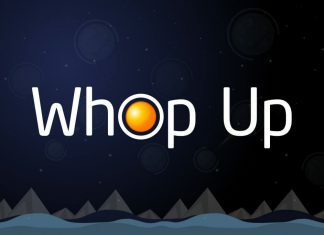 There’re numerous users who want to get notifications for each of these categories, but some users often want to receive a particular type of notifications. That’s where notifications channels can prove handy. 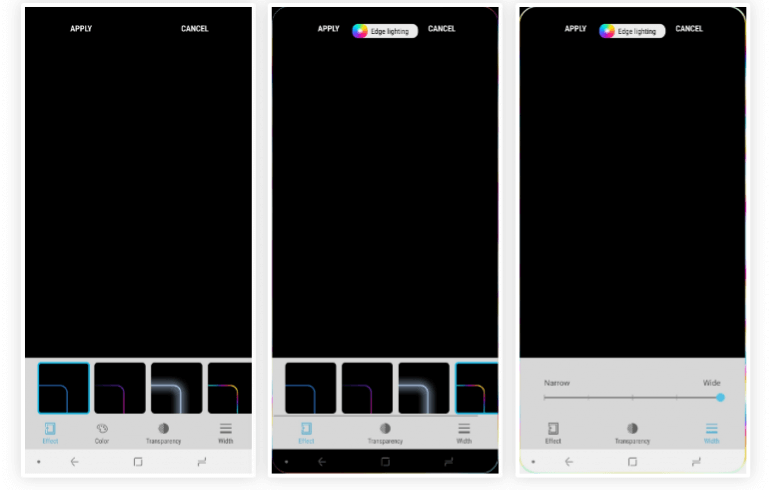 The new Galaxy S8 Oreo update comes with a handful of edge lighting effects including a sweet multi-color effect. 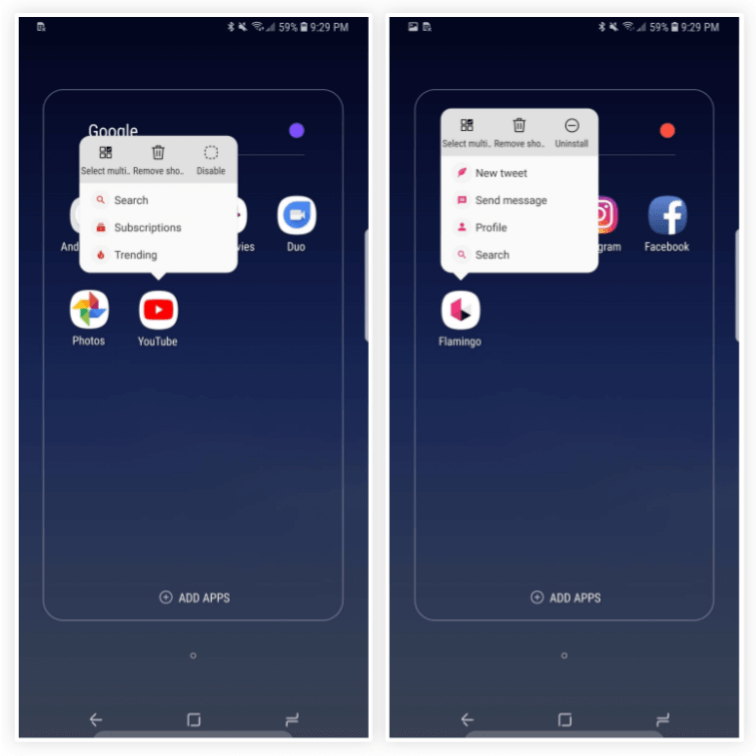 In addition to this, it gives you the option to customize the transparency and width of your edge lighting effect to see how dramatic and obvious the notifications are. Samsung Galaxy S8 update brings support for long-press shortcuts for apps on the Home Screen. This functionality allows up to 5 contextual shortcuts within each app, accessible by long-pressing on the app icon. However, apps will need to be updated to add support for this new feature. For instance, on the YouTube app, users are able to jump directly to their Subscriptions page or find out what’s trending. Want to hide your photo albums from prying eyes? Well, the Galaxy S8 Oreo update lets you just do that. 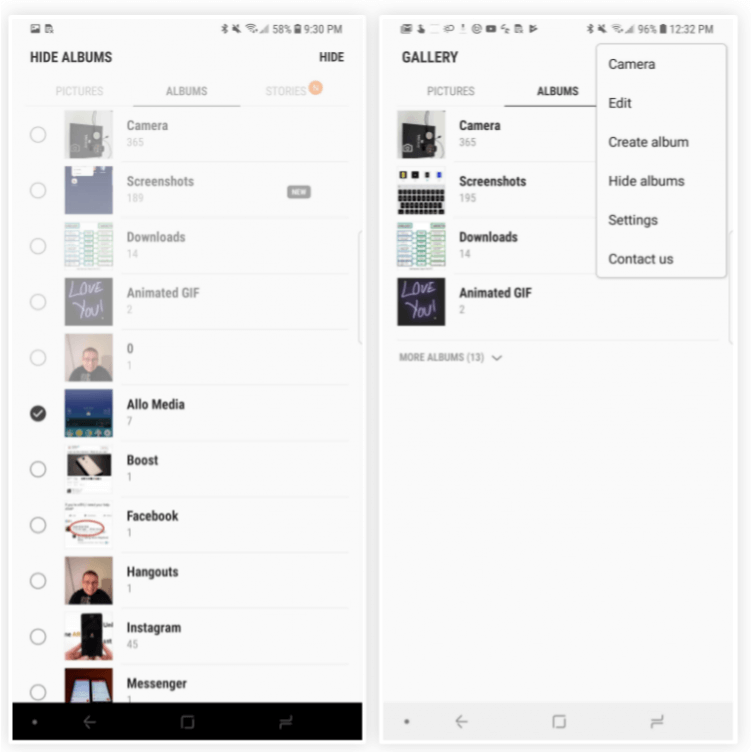 The native Gallery app enables you to hide as many albums as you like. Please note that this is not a secure method to hide albums. Instead, you can make use of Samsung’s Secure Folder, which is password protected. Within folder options on the Home Screen, you’re now able to employ a color-picker to access a custom color for your folder. The color-picker shows the current color along with the new color you’ve chosen to ensure that you’d like to proceed with changes. 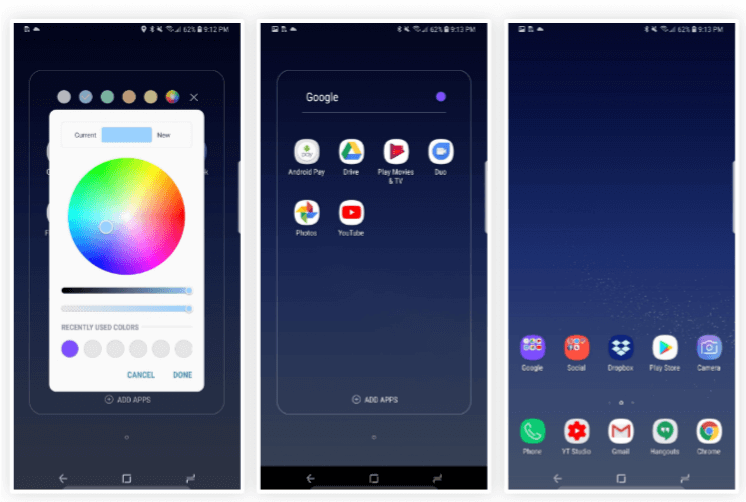 This new feature in the Galaxy S8 Oreo update relies on the theme you’re currently using. However, some themes don’t allow all colors to be selected. For example, while running a black theme, you can only choose shades of white or gray for folder colors. With the Galaxy S8 Oreo update, Samsung has renovated the ‘About Phone’ menu within the device’s main Settings list. Once you open the said menu, you’ll now be presented with the phone number, serial number, model number, as well as an IMEI number in an easily accessible manner. Another minor alternation within Settings is the search history with timestamps. While searching, you’re now able to see a list of your previous keywords arranged by time. 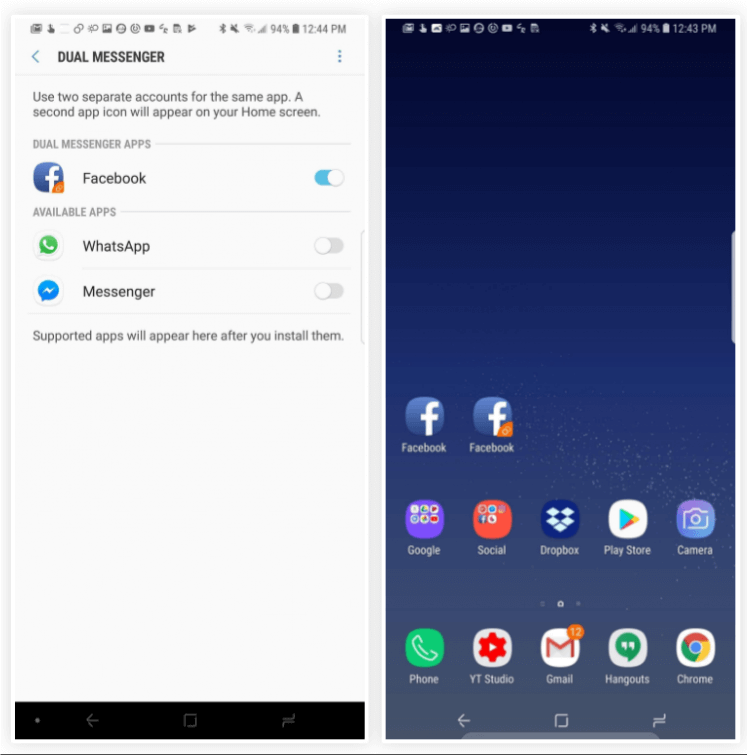 The Dual Messenger ability, which is the most popular in Xiaomi and Huawei smartphones, has now become standard on Samsung Galaxy S8. As soon as you enable the feature, you’ll find a tiny orange icon at the bottom-right side of the app icons, indicating the secondary account. At the moment, the feature provides support for Facebook, WhatsApp, and FB Messenger. With the new update, the wallpaper you set will put an impact on other areas of your device’s interface. 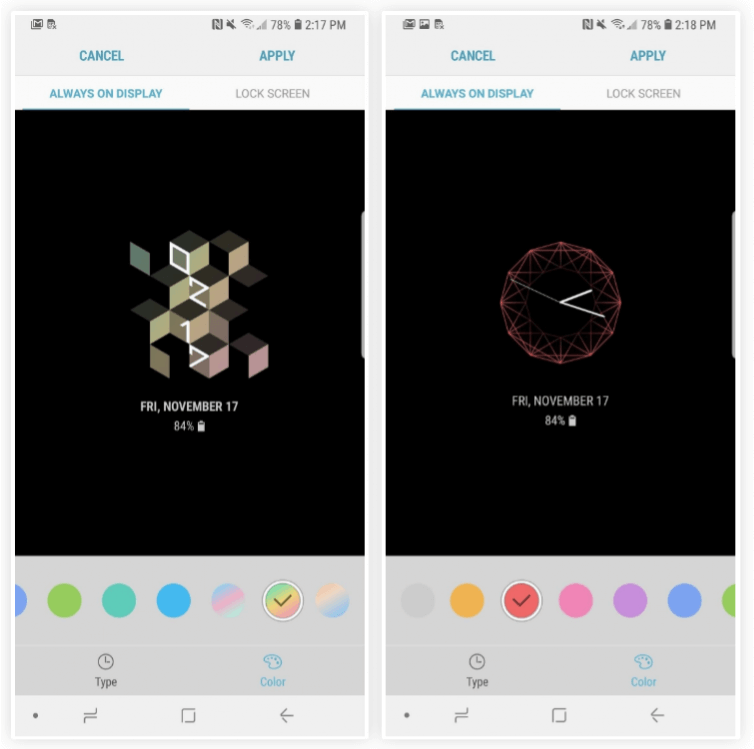 The South Korean smartphone maker has added an almost-invisible accent color to the lock screen clock and other information. For example, if your wallpaper has a certain hue to it, that hue will be applied to the lock screen text as well. There are now a few new layouts available for the Always-on Display feature in Android O. This offers you a bit variety to make your phone’s look different. 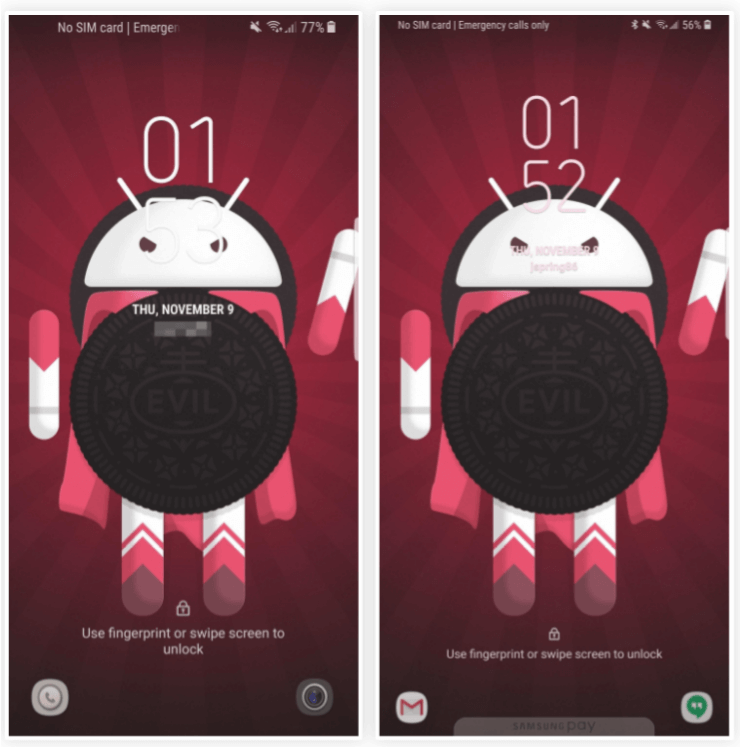 Plus, the Oreo update comes with extra color options to take the customization a step further. Samsung has recently rolled out the Android Oreo update for Galaxy S8 and S8 Plus. Though the latest upgrade keeps the core Galaxy S8 experience the same, it brings a number of welcome performance tweaks and useful features to the table. Here’re 10 new features in Galaxy S8 Oreo update. Click on the link to read more.